I am reminded of one of those million times that people say to hold on to these moments because they don’t last. Each time they say that, I always smile, nod in agreement, and move on, because really it needs to speed up so I can finally get some sanity and peace, and maybe just get something done, right? At this moment I finally got it. I finally understood what they meant. My son wanted me next to him, not to let go, and to just be there in that moment. How much longer will he want that from me? Each day my kids get older, and each day they need me less and less. Yes, that is something you hear everyday, and yes, I agree it gets really old and annoying after the 10th time hearing it, but think about who you hear it from. You hear this wisdom from those moms and dads that no longer have the little ones running around and remember what it is like for the time to fly by and possibly not appreciate all that you had in that moment. Today is “No Housework Day”. What does this mean? It means take a step away from the day-to-day tasks, the “job” of motherhood, and really enjoy this day. Those who have a job they go to get vacation days or days off in some way. You deserve a day off. Maybe you still need to be a mom and a wife, but the laundry can wait, the dishes will be there tomorrow. Savor the time you have as a mom today and really enjoy just being with your kids or even just taking some time to do something that will take your mind off the day-to-day housework chores. Sit, and don’t let go. We believe there are many variables that determine what is best for you as you birth your baby. Here at Coastal Doulas of Palm Beach we promise to always provide the exceptional care you need and want during this exciting time. How ever you plan to birth your baby, we are here to provide the care you need along the way to feel confident in your choices and fully supported from start to finish. Take a minute and imagine having your very own Postpartum Doula for a day. You are meant to be a mom. There are often times as a new mom that leave you feeling like you were not meant to do this. It is too hard. Your body is sore, you need your sleep, and you just don’t know how you are going to get through the day. Every time you try to use the bathroom, sit down to eat, or rest on the edge of your bed for a moment, the baby starts screaming. It’s almost like they have a sixth sense or something. We promise you, you can do it. What you may need though is the right tools to help things run a bit more smoothly. Your attitude & perception of this parenting journey can be much more positive by having someone you know and trust walk through the early days and weeks providing guidance, assurance, expertise and support. The postpartum period is often called “the fourth trimester” and having a doula come to help during this time is valuable in more ways than you may realize. Your postpartum doula is there to help navigate this wonderful experience through all of the highs and lows that come with parenthood. She is there to help you figure out how you can shower, make meals, keep up with laundry, and take care of yourself, all while also taking care of your beautiful newborn & the rest of your family. Your doula is there to provide the opportunity for you to catch up on sleep without the guilt of feeling that you’re letting important things fall behind in the process. With a newborn, there’s a good chance you and your baby have been up the majority of the night. There is also a darn good chance you’ve only had 3 hours total of sleep, and it was probably in 30-45 minute increments. As you greet the day once again, with little sleep under your belt, you may begin to wonder if you’ll ever be able to get a shower or a much-needed nap. Stack many sleepless nights like that in a row, and you may find being a new mom extra challenging. It takes time to adjust while you recover and figure out life’s new routine. In fact, forget even finding a routine in that state of mind, you’re just wondering if the engorgement in your breasts will ever subside. Navigating through the normal daily challenges that come in those first weeks & months is what your postpartum doula is there for. So what is it like to have a postpartum doula? Postpartum doulas are not nannies or babysitters. They are there to support YOU as the new mom in all that you need. Maybe you just need a simple recharge that looks like a nice hot cup of coffee and a warm breakfast. We know the value of these and many other little resetting experiences. You deserve to be able to take a breath and have someone nearby who can reassure you that the way you feel is normal and won’t last forever. A postpartum doula can arrive in the morning, make you a cup of coffee, & cook breakfast while you nurse or feed your baby. She then provides you the opportunity to enjoy your breakfast while it’s still hot while she burps & changes your baby’s diaper and then folds the pile of baby laundry that’s been sitting on the couch for the last 3 days. Sometimes just the ability to take a nice deep breath in the morning is exactly what you need to make the day successful. Your postpartum doula genuinely cares about you and your family. She listens and offer encouragement through the struggles & tears. She’s there to celebrate and share in the joys and parenting wins you experience. She fiercely believes that you are the very best parent for your baby. She helps answer those non-stop questions that are constantly running through your head. How do you find the right bottle? What is the best baby carrier? How often should my baby eat and sleep? Never will she judge decisions or choices you choose to make. She will encourage you to be the mom you want to be as you navigate through and decide on your parenting philosphy. There is not one right way. There is your way, and that is what we think is the right way and what we choose to support. Has most importantly, helped you to be able to TAKE CARE OF YOU! The main job of a doula is to take care of the mom. As moms, we spend so much time caring for others that it’s easy to neglect taking care of ourselves so that we can be the best moms we are called to be. A doula is there for you in the transitional postpartum period to allow you the support you need to gain confidence in knowing that you are not alone, that you are an amazing mom and that you can do this! 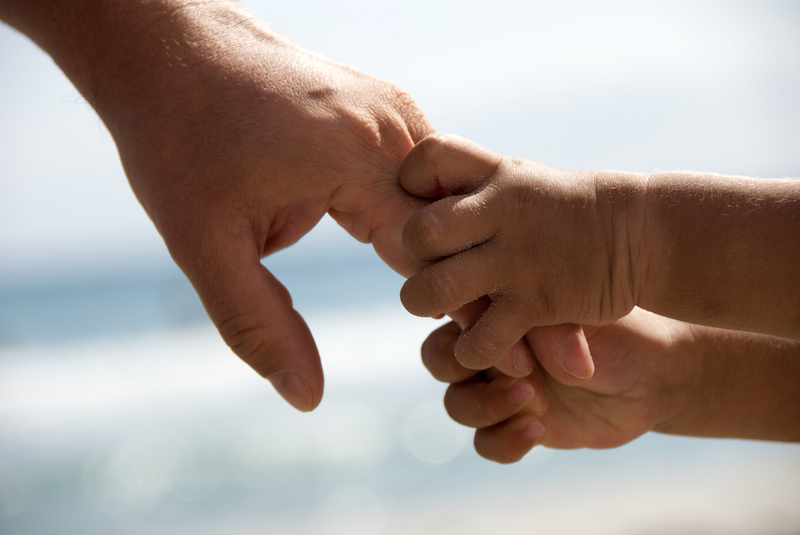 Prior to becoming a parent, one of the important decisions you will need to make, is to choose a pediatrician. Upon first thought, you may think this is going to be an easy task, right? Thanks to the internet you can look up local pediatricians in our area and find quite a lengthy list of options to choose from. And if you ask on local Facebook moms groups for a pediatrician you’ll more than likely be given a long list of options as well. The problem though, is that not all pediatricians are the same with the same ways of doing things. Each one has a different personality and passion. They all have different views and ways of handling things like vaccinations, antibiotics, introducing foods, & growth. How far away from your home and/or work are they located? What is there approach on breastfeeding and formula feeding? Some practices provide a small staff of doctors which allows for more individualized care; while larger practices often provide more options for evening and weekend appointments. In the same way it’s important to find a doctor or midwife during your pregnancy that aligns with what’s most important to you; it’s just as important to choose a pediatrician that aligns with how you plan to parent. There are many decisions as parents that you will have to make that not everyone is going to agree with, and THAT’S OKAY. Guess what, you will never please everyone….you just won’t. Do your research, talk to your partner and make decisions based off of your own convictions and beliefs. Then choose a pediatrician who respects you as a parents and most closely aligns with what you need and what’s important to you. We’ve created this list of questions to use in your quest for the perfect pediatrician. Click here to download your Pediatrician Questionnaire now. Helping you navigate through these choices, as you discover your parenting philosophy is something we love to do. As always, we are here to support you on this parenthood journey and if we can help don’t be afraid to ask. Even if you aren’t a routine oriented person by nature, the ability to teach your baby certain habits is crucial in working to establish good sleeping patterns. Babies thrive on routine. The reason for this: your child will learn and know what is expected from them, giving them a sense of security, and create an easier ability to fall asleep as their body’s are wanting to slow things down. If you put your baby down every day at the same time for a nap, more often then not they will become tired and fall asleep easily at that time. However, this doesn’t happen right away. 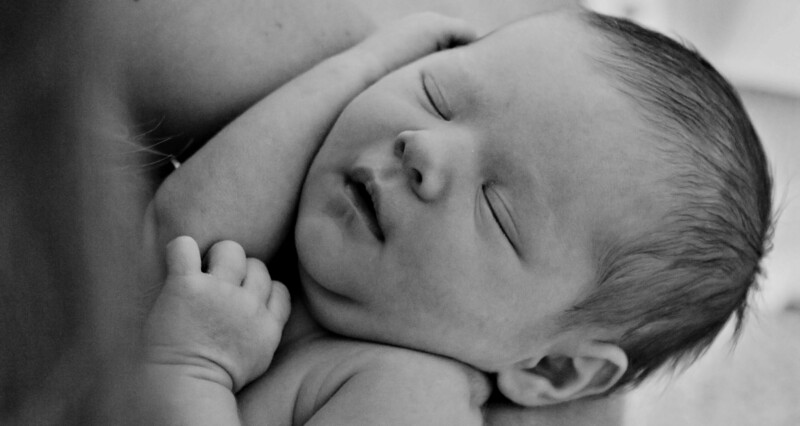 During the first six weeks of life, infants require so much sleep. According to the National Sleep Foundation, an infant can sleep between 11 – 18 hours in a 24 hour period, with sleep periods lasting anywhere from 20 minutes to 3 hours. This requirement might be confusing as you are trying to establish some sort of rhyme or rhythm in the day. It’s ok though! However they fall asleep, let them. Wherever they fall asleep, let them. Whenever they fall asleep, let them. Don’t be concerned if your infant is napping for only 45 minutes in their swing. There isn’t anything unhealthy about this at this stage. If your baby seems irritable during the day and is a catnapper, it might be beneficial to help lengthen those naps by moving her into a crib. You can use a shush pat, swaddle, and pacifier to see if you can give her a better quality nap. Here are some additional of our tips for creating the perfect sleep environment that is conducive to a good nap! But for the most part, let your infant eat and sleep as needed. Once your baby is older than 6 weeks you can begin to establish regular nap times. Nap cycles aren’t truly defined for an infant until they are between four to six months old but you can begin working on establishing a daily routine based on their natural sleep cycles. At that time, generally speaking, a baby between 4 and 8 months often takes their first nap about 1.5 – 2 hours after they’re morning wake-up and sleep between one to two hours. About two hours after waking from their first nap, a second nap is required that can last one to two hours and finally a third nap is needed in the late afternoon for about an hour or so. Helping your newborn develop good sleep habits takes time and a lot of patience. Baby steps work! Focus on the first goal of allowing your baby to sleep and feed as needed. Then when the time is right, begin working on establishing a routine. It’s so important for an overall healthy start to teach them how to sleep throughout the night! For additional advice, come visit us at thecradlecoach.com.